Complete with Coiled Hose, ¼” Quick Connection fitting. 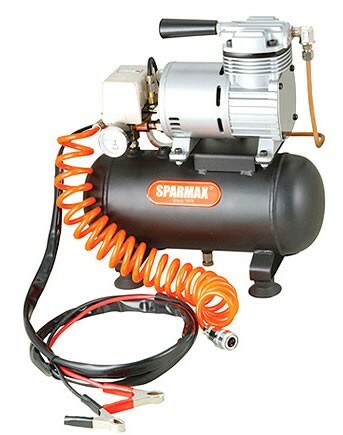 This compressor comes standard without a regulator - it automatically stops at 100psi. This product was added to our catalog on 21/05/2011.